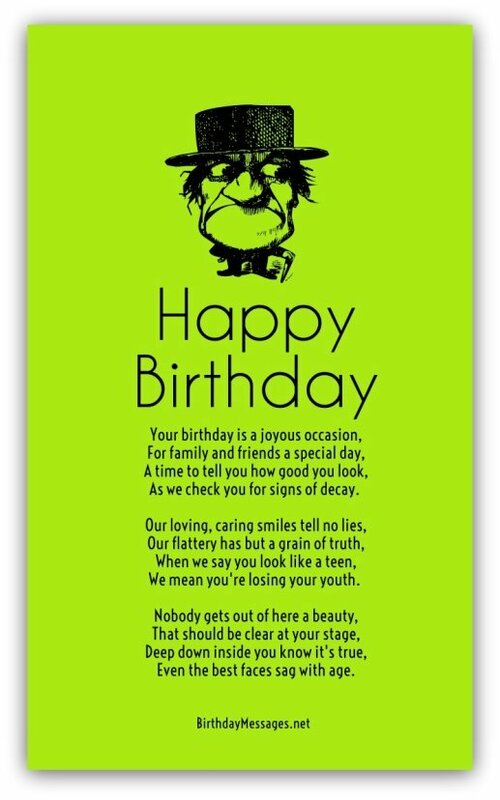 Perfect funny birthday poems get a chuckle and a smile from birthday guys and gals, plus make them feel perfectly happy the rest of their special day. That's the kind you'll get here. You're pretty sure that the birthday boy or girl will find it funny. Basically, it that's simple to find the right funny verse for your loved ones. For more tips, click the "Message Guy Tip" link right below. If you need a few helpful hints to set you on the path to the best funny poems, click here to check out Message Guy Tip #74. It takes less than a minute to read but could lead to a poem with everlasting appeal. As we check you for signs of decay. We mean you're losing your youth. Even the best faces sag with age. All this talk is a whole lot of bull. 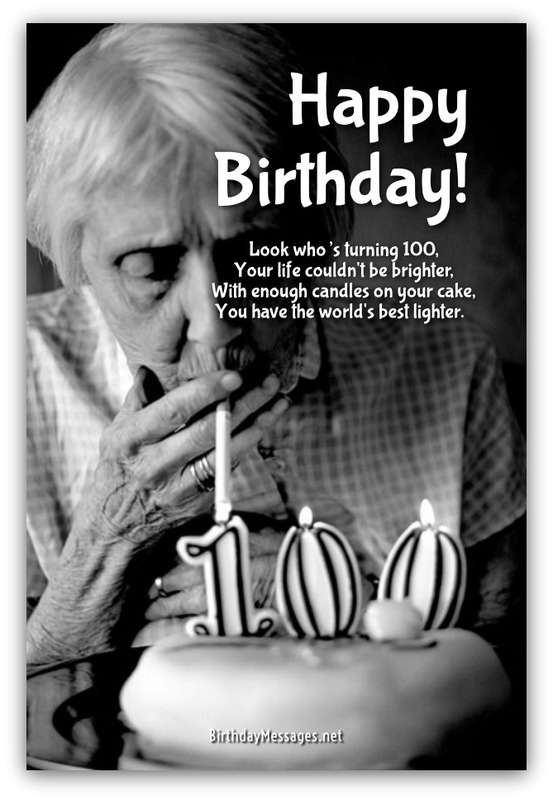 And bought you this birthday card. Even with a touch of gray. Even if your teeth are yellow. 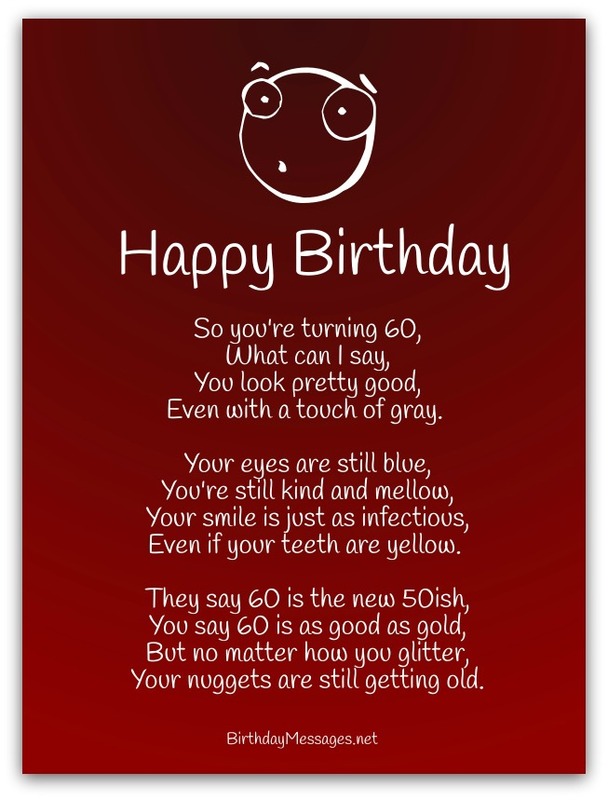 Your nuggets are still getting old. The super bowl will be your reward. If they're not for you. The first round's on you. You have the world's best lighter.